National nutrition week (NNW) is celebrated every year raising the key issues related to public health, importance of nutrition for all age groups, creating awareness about lifestyle modification and nutrition education. This year theme of National Nutrition Week was “Better child health: ensuring focused intervention on addressing under-nutrition during the first 1000 days of child”. 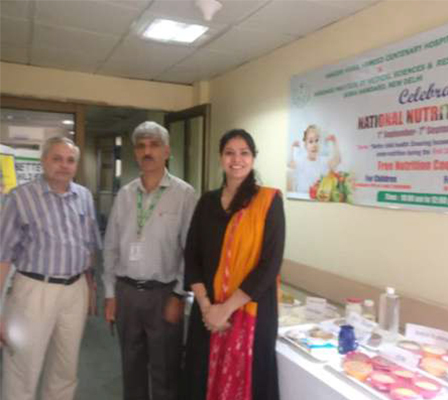 Four days nutrition camp was organised from 4th September to 7th September’ 2018 under the aegis of HAHC Hospital and HIMSR, Jamia hamdard. Nutrition week was celebrated with enthusiasm and interest among patients, staff, students and colleagues. We both Dr. Sadia Chishty and Mrs Farrukh Farah (Dietician) are thankful and express our gratitude towards Director General Dr. G. N. Qazi Sir, Dean Dr. S. Anand Sir and Medical Superintendent Dr. Ajaz Mustafa Sir for their support and guidance. We are immensely humbled by the generosity and are thankful to Dr. Prem Kapoor Sir HOD, Department of medicine and Dr. Mohapatra, Dept of Paediatrics. 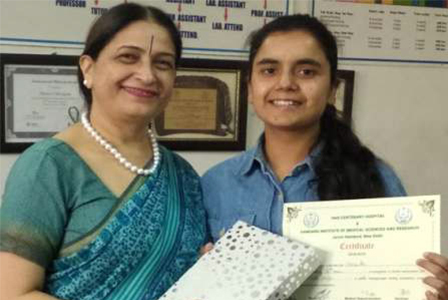 We are extremely thankful to Dr. Rambha Pathak HOD, Department of Community medicine and Dr. Manju Chhugani, Dean, Rufaida college of Nursing for their kind cooperation. Free nutrition counselling: Free counselling was given by hospital dieticians Mrs Farrukh Farah and Dr. Sadia Chishty to outdoor patients in pediatric OPD for weaning foods, benefits of breast feeding, balanced diet etc. Nutrition education about importance of complete balanced meals was also imparted to OPD patients. Nutrition gallery: Nutrition gallery was set up which displayed complete balanced meal for pregnant women, weaning foods, healthy and unhealthy food items etc. 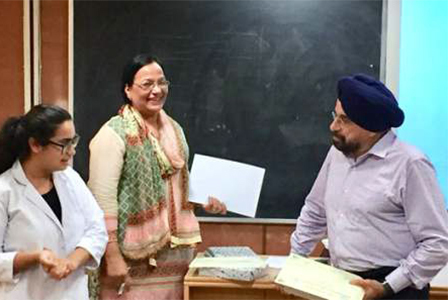 Slogan writing competition: Slogan writing competition was organized on the topic “Malnutrition” OR “Healthy eating habits among children” for MBBS students (fourth year) on 6th September, 2018. Eleven students participated in competition and two winners were selected based on evaluation done by our expert team. 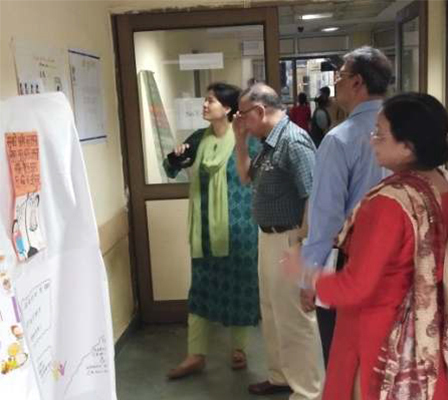 Poster making competition: Poster making competition was conducted on topic “Nutrition during childhood for age roup- 6 to 12 months and 1-2 year old child” for nursing students on 5th September, 2018. Eleven students participated in competition and two winners were selected based on evaluation done by our expert team. protective foods etc., was also a part of gallery.